With so much going on in the world recently my attention has been focused on how as an artist I can be most effective with my work? I mean, I feel so incredibly privileged to be woman and a musician living in a country where I have an abundance of freedom, opportunity, safety and choices. And its because of that privilege that I am being called to be bigger, bolder and more courageous than ever on behalf of all of those who don’t have the freedom or opportunity to use their voices and share their gifts. Change begins at home and in our communities and I’m very excited and humbled to contribute to the education and confidence boosting of young minds for they are the next leaders. So starting tomorrow I am teaching a singing/voice empowerment class for a group of pre-teen girls in my yurt. This is the first group class of its kind for me, but I’m definitely getting the inner nudge to do more of it! I truly believe in the transformational benefits of music and self expression! Last month I was blessed to spend a week in the magical red rocks of Sedona receiving guidance and deepening my commitment to using my life and music to be in service to the healing of this planet!! So…In the upcoming months I will be revealing the details for my third album along with some very exciting new performing gigs in Washington and beyond! So much to be thankful for! 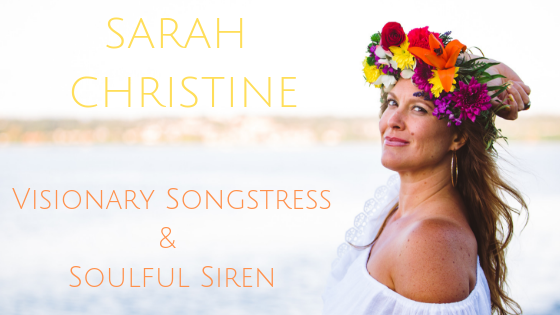 I’ll be performing at Sea-Tac International Airport a few times this month before heading off to Santa Barbara again to bring some uplifting musical inspiration to the Wealthy Goddess LIVE conference with my awesome mentor Kendra Thornbury. You can find all the gig details on my “shows” page. I sincerely appreciate you and your ongoing support along this musical path!